The iPhone 5 is a beautifully svelte device, and when looking for cases, most owners of the Apple smartphone seek a product offering stellar protection without compromising on the slim line form factor at all costs. 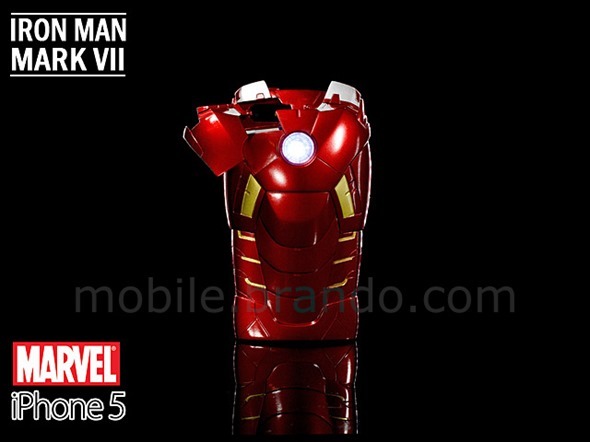 However, if you’d consider yourself as being an Avengers fan before an iPhone fan, you may want to check out the outrageous Iron Man Mark VII case for iPhone 5 which, whilst increasing your device’s overall size considerably, is also one of greatest tributes to The Avenger’s we’ve ever had the privilege of seeing. More details after the jump. Comic-based franchises are as strong as ever, with movies and merchandise still raking in millions of the companies behind them. The Avengers stand out as one of the most revered, and with the movie having been released last year to much critical acclaim, it has won legions of new fans. The case is made by Brando, and while there are perhaps thousands of cases and protective cocoons available for the Cupertino’s latest and greatest handset, Brando has a habit for making some of the most memorable ones. Whatever you’re a fan of, be it Star Wars or Toy Story, Brando offers a wide variety of outrageous skins and shells at competitive prices. 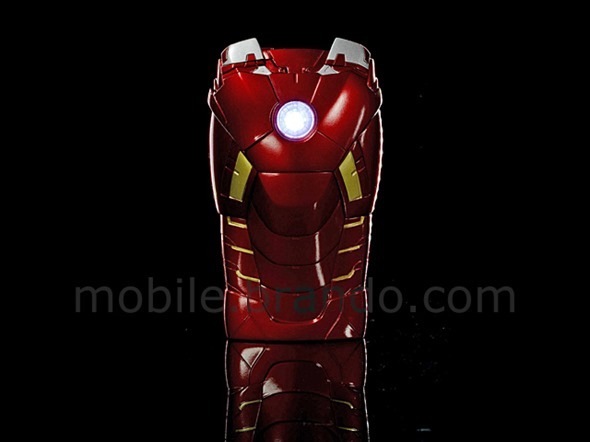 The Avengers case certainly doesn’t break the mold, and with a glowing LED arc reactor, it’s not the kind which you’ll want to be subtly squirrelling away in the pocket. 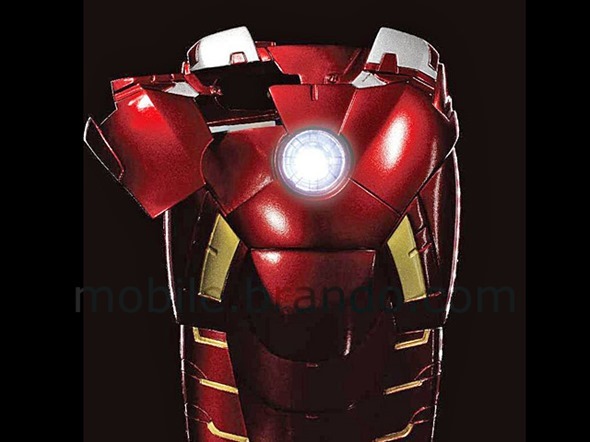 The Iron Man Mark VII case was born to be on view at all times, and with a release date scheduled for the month of April, it won’t be long before die-hard fans of The Avengers, specifically Iron Man, will be able to get their hands on it. It costs $49, and can be preordered right now over at the Brando website. 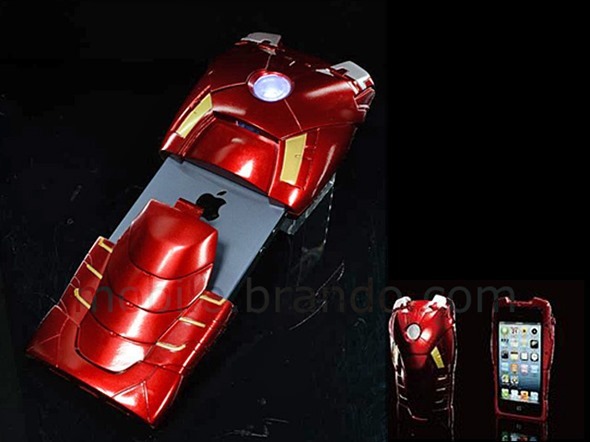 If you like how slender your iPhone 5 is, you will almost certainly want to skip it, but if your inner child simply cannot pass up on an opportunity like this, please head over to the aforementioned webpage and secure your Iron Man Mark VII case before preorders are spent. We suggest doing it now, since accessories like these don’t last long on the shelf on launch. If anything, it’s something you can show-off to your friends, particularly when taking a photo, and I would consider this a must-purchase for any true Iron Man fan.